The Student Wellness Ambassador Program is a component of the CCC Student Mental Health Program, currently in its pilot year. Student Wellness Ambassadors are trained to advocate and conduct peer outreach for student mental health and wellness. 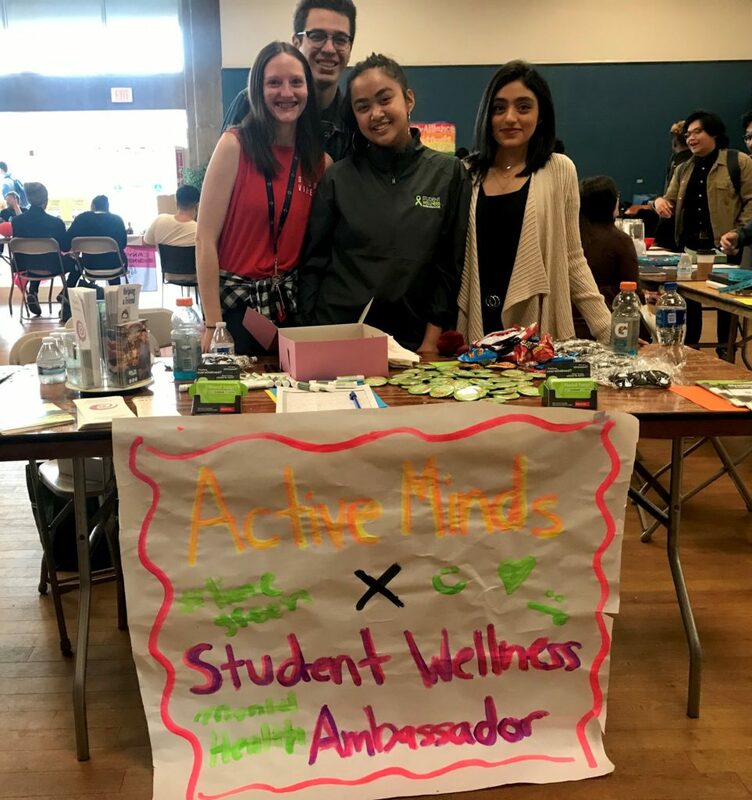 From Jessica Cabanos and Laura Praskin, College of the Canyons (On-Campus Adviser: Larry Schallert): Being a Student Wellness Ambassador has afforded us an amazing opportunity to interact with our peers and network with the many resources on campus. We have worked intimately with the Mental Health and Wellness Office in organizing and tabling at events, and our amazing contact Larry Schallert has been instrumental in helping us involve both professors and students. 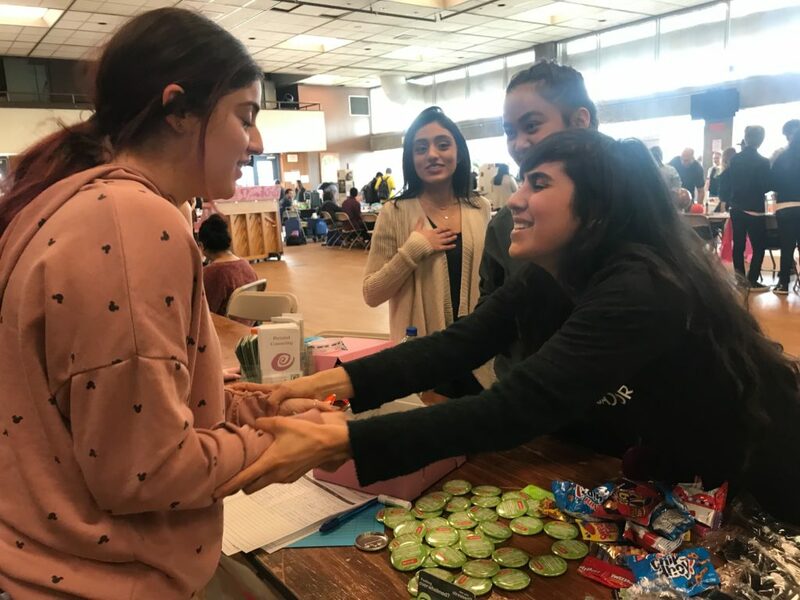 Through our tabling and events we have been able to engage with many students on campus, including in-class Kognito trainings as well as one-on-one peer informing. Having the opportunity to educate our peers has been an enlightening experience; many students do not know about the personal counseling that our campus offers nor about the Crisis Text Line or the Each Mind Matters campaign, and it is empowering to know that we are the vessels that deliver this information that will ultimately ensure the well being and mental health of our friends and colleagues. Not only have we been able to educate our peers and be involved in the social life here on campus, we have also been able to create and strengthen wonderful relationships with our coworkers and friends in coalescing to form an Active Minds chapter at our school. The momentum that we feel in trying to get this movement started on campus is palpable, and watching our friends take the lead in networking with students and step into leadership roles has been inspiring. In fact we would have to throw out a big appreciation to our co worker and friend Samantha Lindsey who has stepped up to the role of President for our nascent club. This has just truly been an amazing experience that we are so blessed to be a part of. With the energy, drive, passion, and commitment that we continually see as we work as Mental Health Ambassadors, there will be no stopping us in the fight for good mental health!